Bayer Leverkusen's Kai Havertz is one of three new faces called up by Joachim Löw for Germany's opening fixture of the inaugural UEFA Nations League against world champions France and their international friendly with Peru. 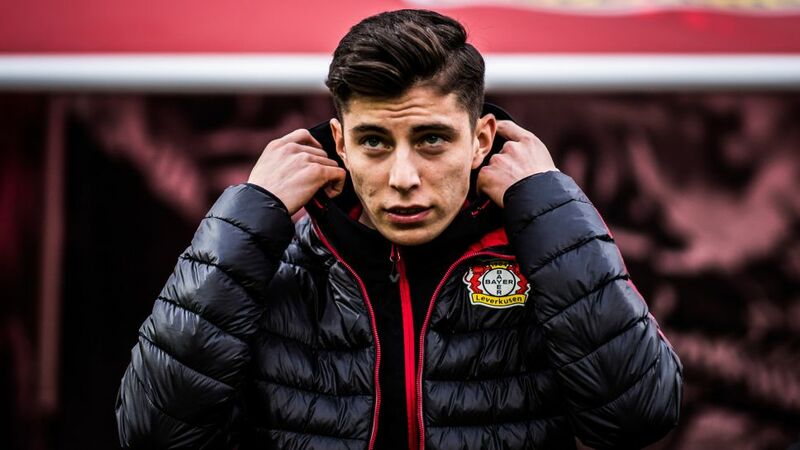 Nineteen-year-old midfielder Havertz, the current Germany U19s captain, is joined in the senior side by fellow newcomers Nico Schulz (Hoffenheim) and Thilo Kehrer (Paris Saint-Germain). Löw has also recalled Nils Petersen (Freiburg), Leroy Sane (Manchester City) and Jonathan Tah (Leverkusen) - three players who missed out on a place in Germany's final 2018 FIFA World Cup squad. Jonas Hector of Bundesliga 2 club Cologne retains his place, alongside 11 Bundesliga-based World Cup finalists. Germany face France at Bayern Munich's Allianz Arena on 6 September, before taking on Peru at Hoffenheim's WIRSOL Rhein-Neckar-Arena on 9 September. The Nations League is a new international tournament, designed to take the place of friendly matches. The 55 UEFA nations have been split into four leagues - A, B, C and D - based on their UEFA coefficient (ranking). Within those leagues, teams have been drawn into mini groups of three or four, and will play each other home and away during the September, October and November international breaks. The four group winners of League A will qualify for the UEFA Nations League Finals, to be played in June 2019. The 'Final Four' competition will comprise two one-legged semi-finals, a third-place match and the final, where the winner will be crowned Nations League champion. In Leagues B, C and D, group winners will gain promotion. The teams that finish bottom of their groups in Leagues A, B, C and D will be relegated. Germany are in Group 1 of League A, along with France and the Netherlands. Qualifying for UEFA EURO 2020 remains largely the same, although the European Qualifiers - the draw for which takes place on 2 December - will now begin in the March following a major tournament instead of September. The teams will be split into ten groups of five or six, with the top two from each group qualifying directly for the finals, determining the first 20 places. The last four places will will be determined via the play-offs, contested by the 16 UEFA Nations League group winners - or the next best placed team if the group winners have already qualified via the traditional route. The play-offs will take place in March 2020.